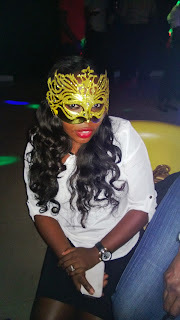 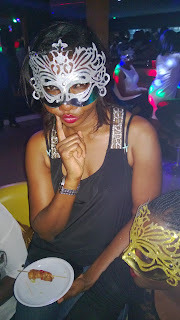 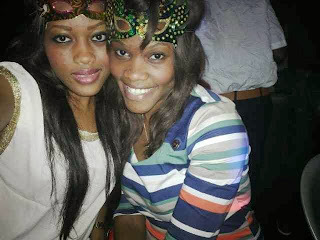 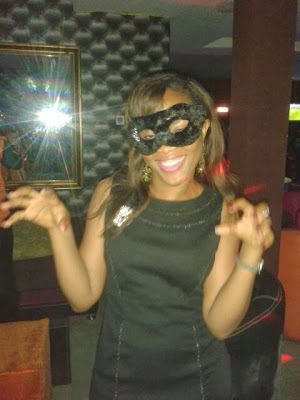 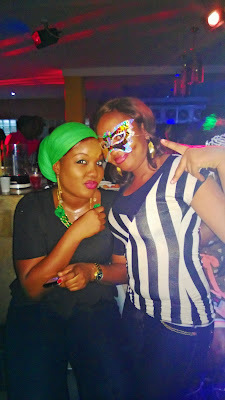 Sassy Saffy: Mansard Insurance plc- Mask Party!!! 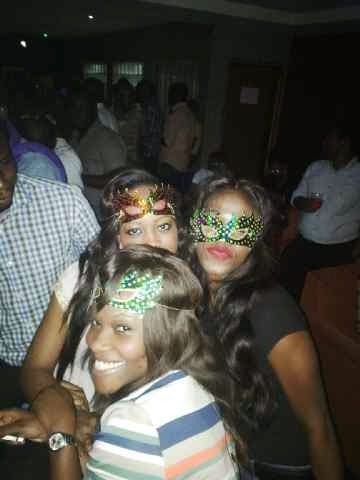 Mansard Insurance plc- Mask Party!!! 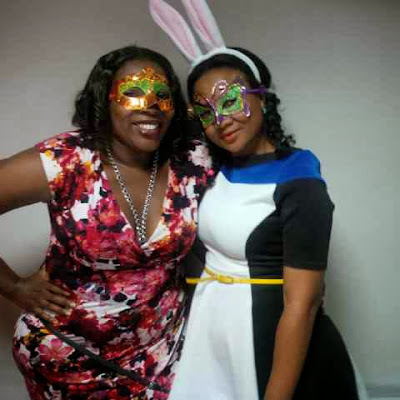 Ever wondered why some employees are more productive than others? 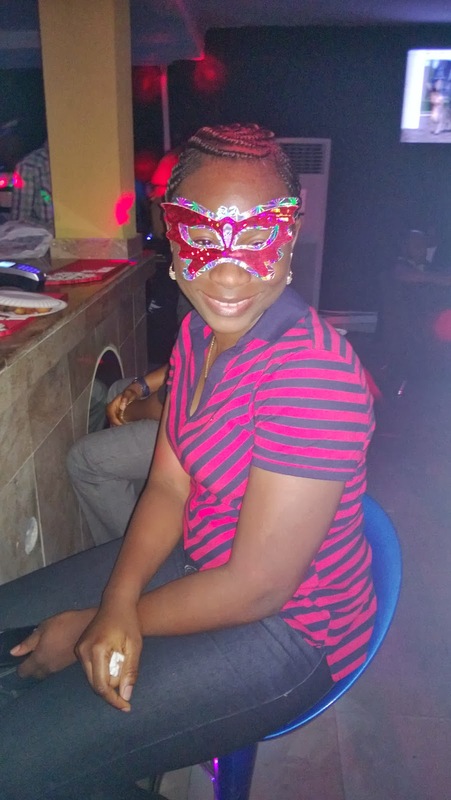 Ever wondered why some organizations have higher employee-commitment than others? 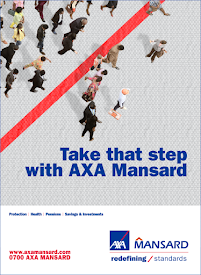 The answer is simple- It is that little effort companies like Mansard Insurance plc make to motivate their employees. Employees enjoy shedding those stuffy suits or restricting uniforms once in a while, so initiating "TGIF parties" can boost morale as well, any activity that temporarily removes employees from their work environment is a strong implementation of fun; company picnics, optional outings, and contests all have the power to motivate employees and to encourage them to enjoy themselves. 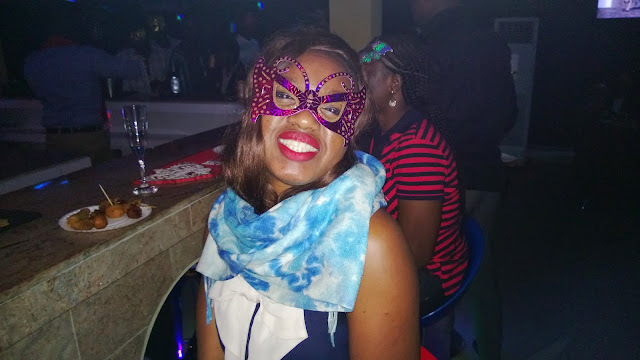 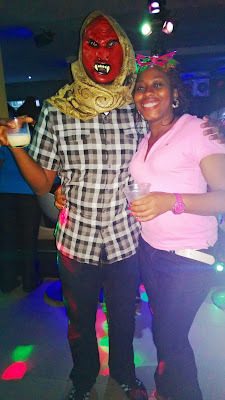 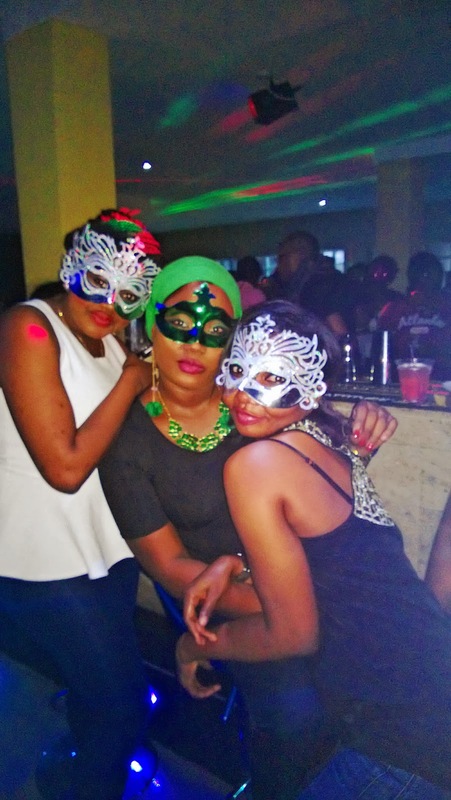 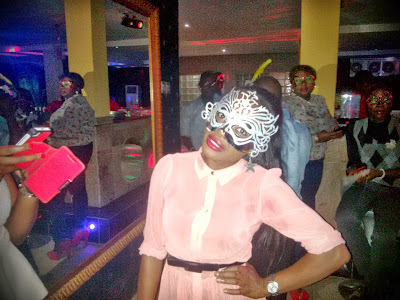 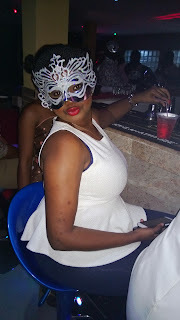 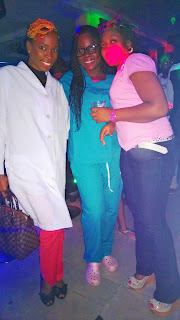 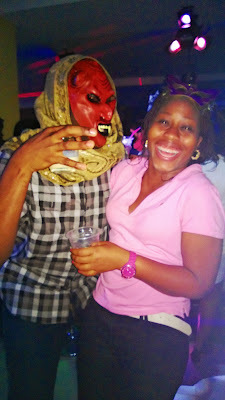 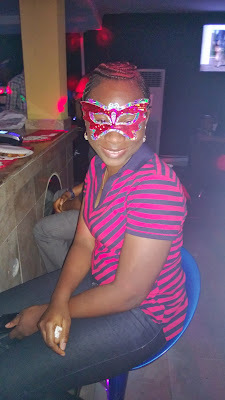 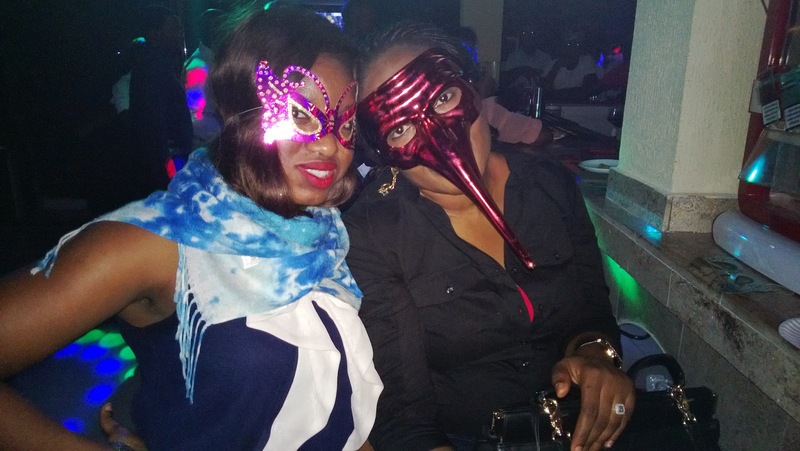 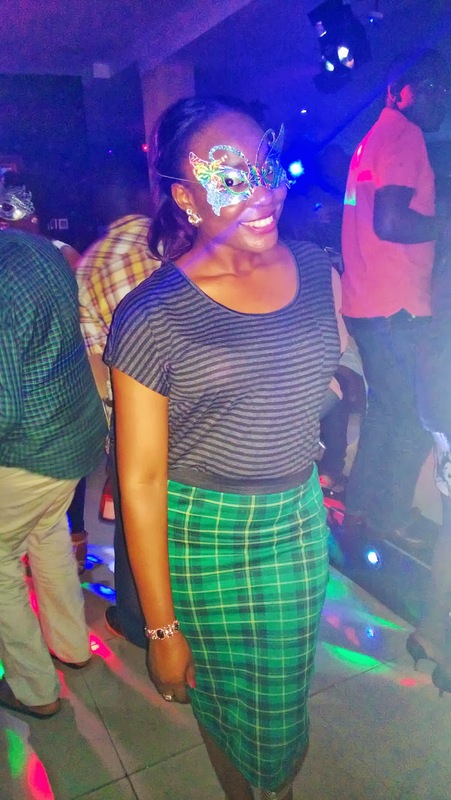 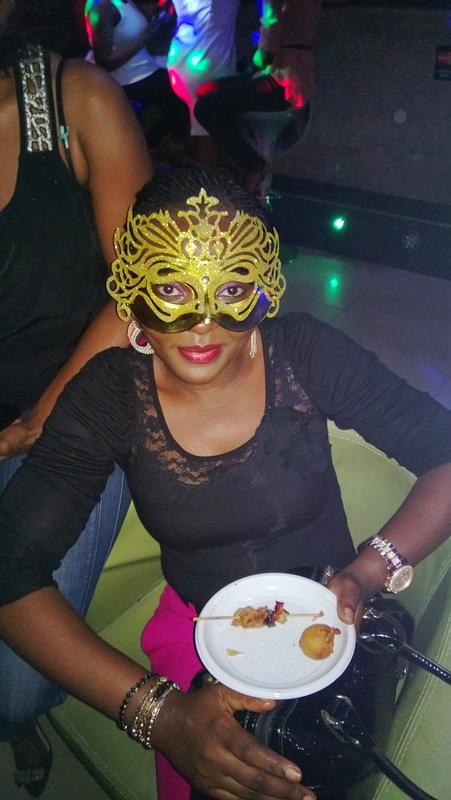 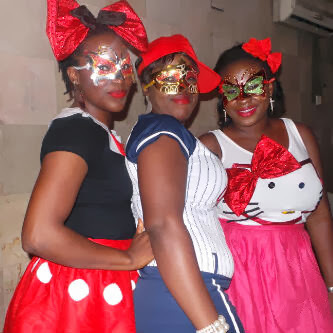 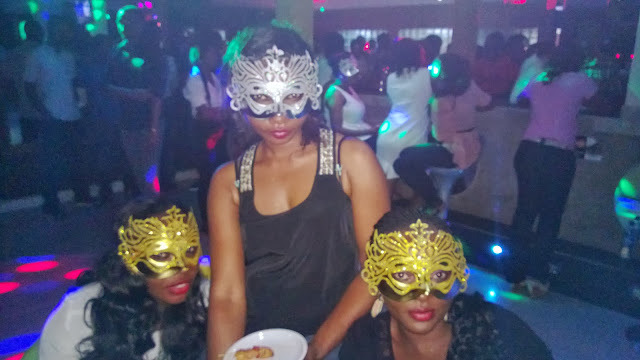 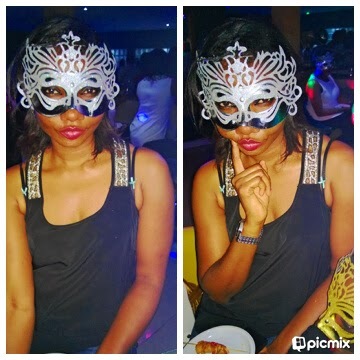 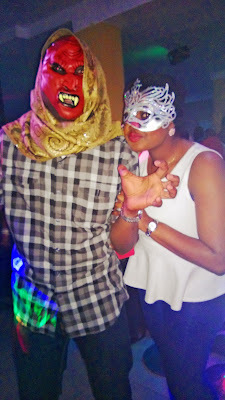 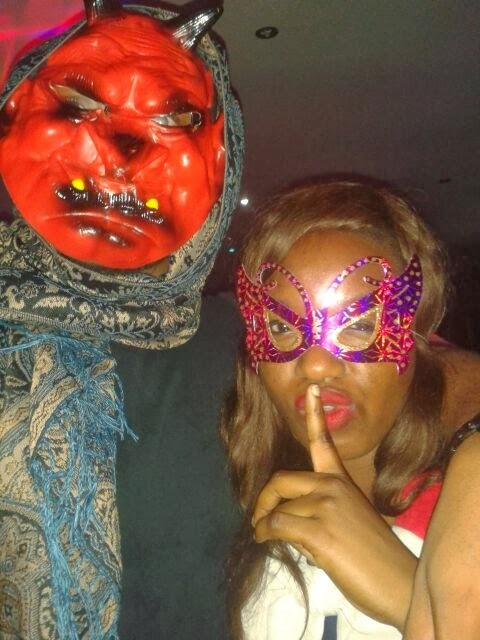 Mansard Insurance plc held a classy Mask party to mark the end of the 2013 3rd quarter… what better way to relieve stress than a wonderful gig. 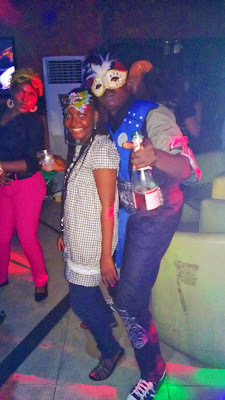 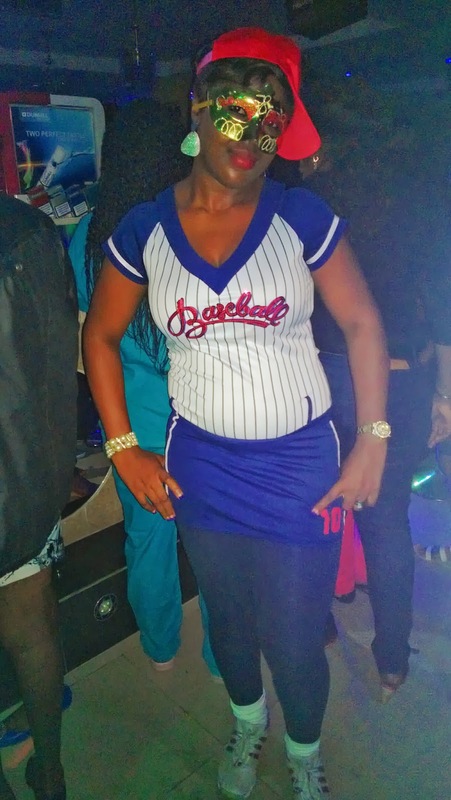 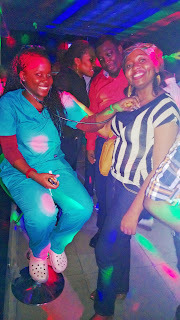 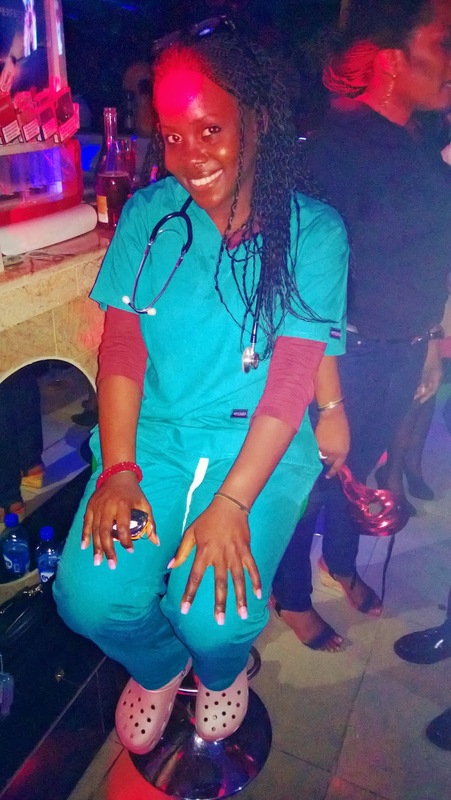 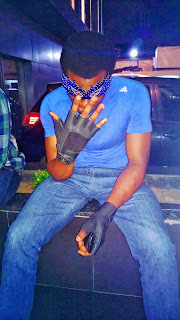 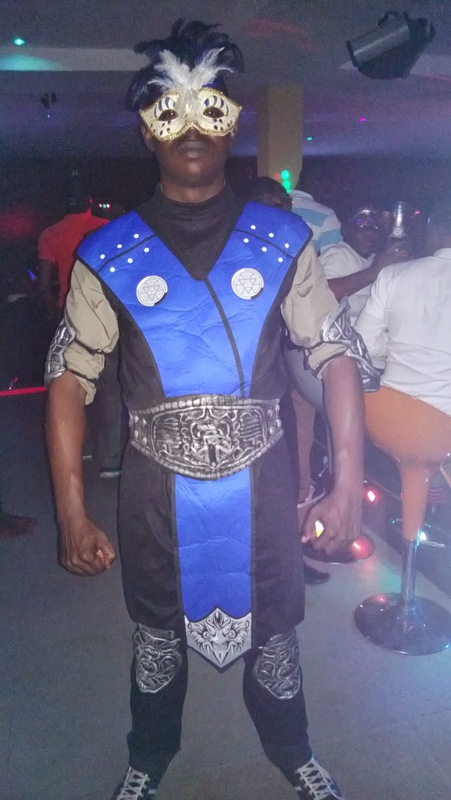 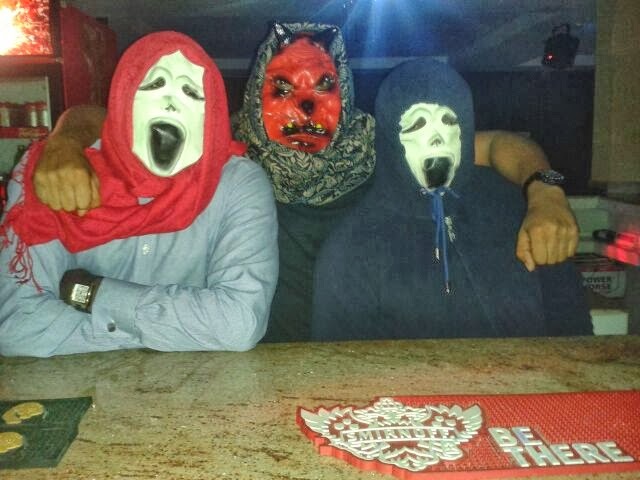 The Halloween-inspired party was held at Club Lafayette, Sanusi Fafunwa, Victoria Island, Lagos on Friday, 18th October 2013. Find below pictures of sizzling outfits rocked by Mansard’s employees, and I need you guys to tell me who deserves to be tagged “Best dressed”…. 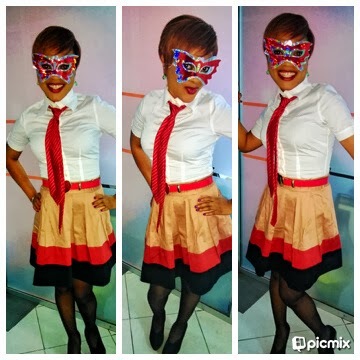 Just in case you want to go back to those school days, this stunt is a beautiful one to rock. Simply get a white shirt, skater skirt and a tie to match.She looks dope in this outfit- simply chic and snazzy. 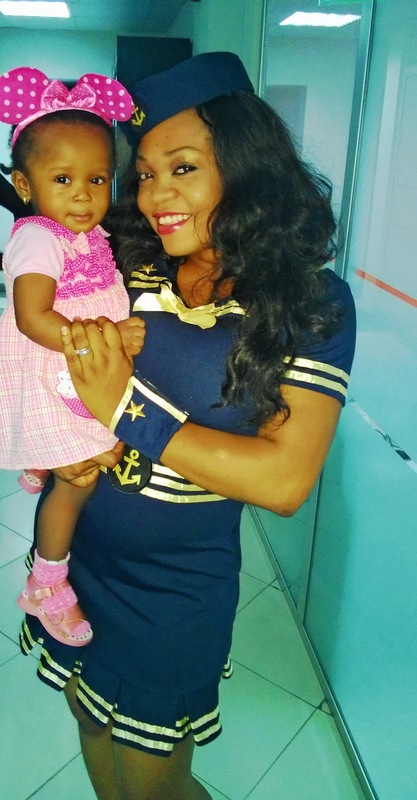 The Sailor girl…Who doesn’t love the Sailor girl? 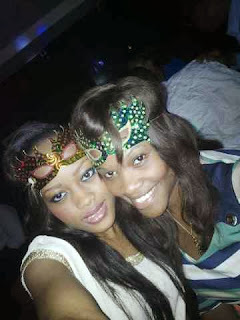 Just picture the sun, water and lots of tanned skin!!! 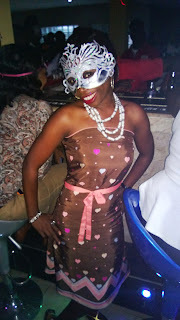 This look is timeless with its pleated short dress, jaunty hat and cuffs. Get a pair Kitten heels to complement the outfit. Remember, sun, water and skin, and the guys- sailor or not will definitely take a 2nd look. 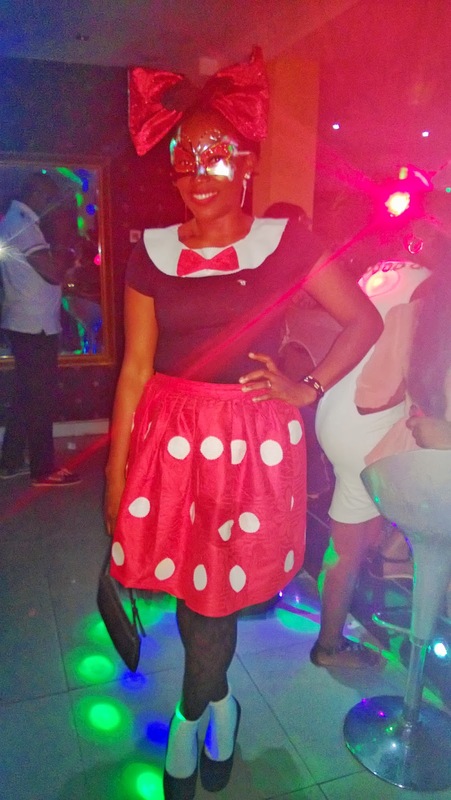 Don’t you just love Mickey Mouse? He is so adorable, and even more adorable is his mate Minnie. 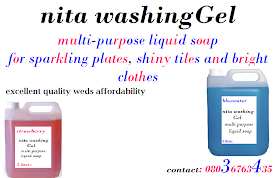 Minnie mouse is a Cartoon character that has made the heart many children flutter. 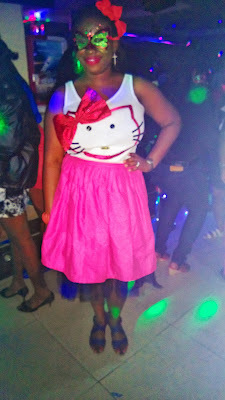 Vicky replicated the costume wisely, and I am pleased to inform you that she designed this outfit herself. 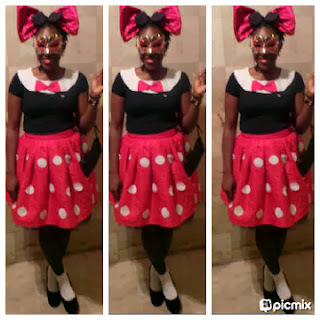 Its black and red colours will look good on anyone, doesn’t the hair bow just pop! 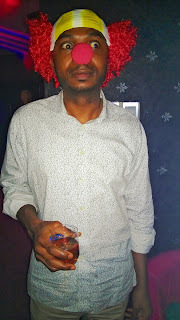 *grin*. 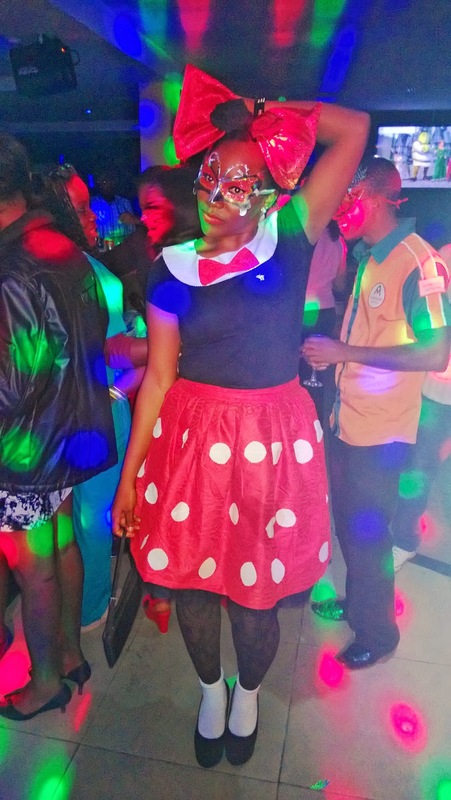 With this get-up, you don’t have to scurry, just strut….. 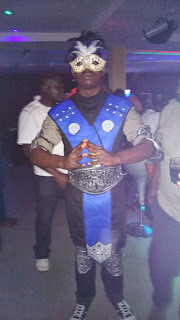 He decided to rock the classic Mortal Kombat Sub-zero costume which features a jumpsuit and a mask, with embellishments in the gauntlets and shin guards. As the MC of the day, he was ready to battle….and trust me, he “battled” just fine. 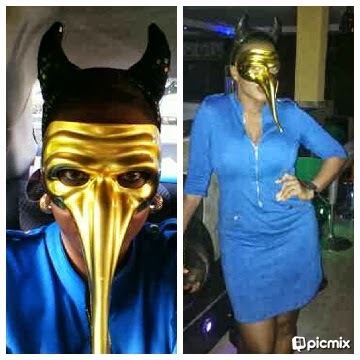 She looked awesome in the mask- it had her face-shape….I’m sure she’ll kill me when she sees this *winks*. 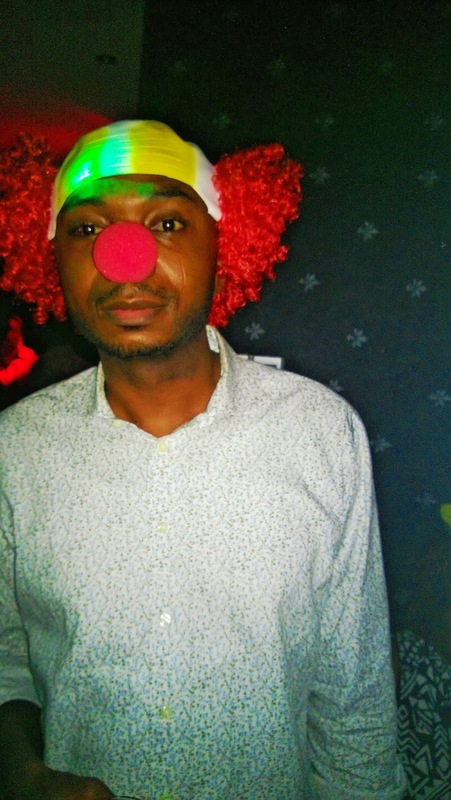 The Jester of the day in his clown Costume…. 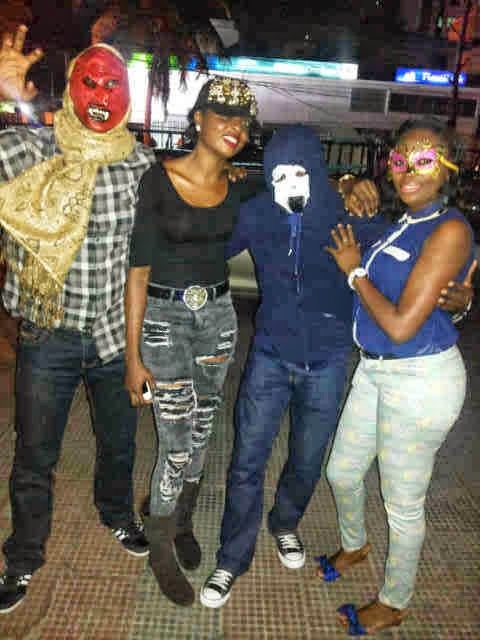 So guys, who should the best dressed go to???? Sailor girl n Lil Minnie of cos.